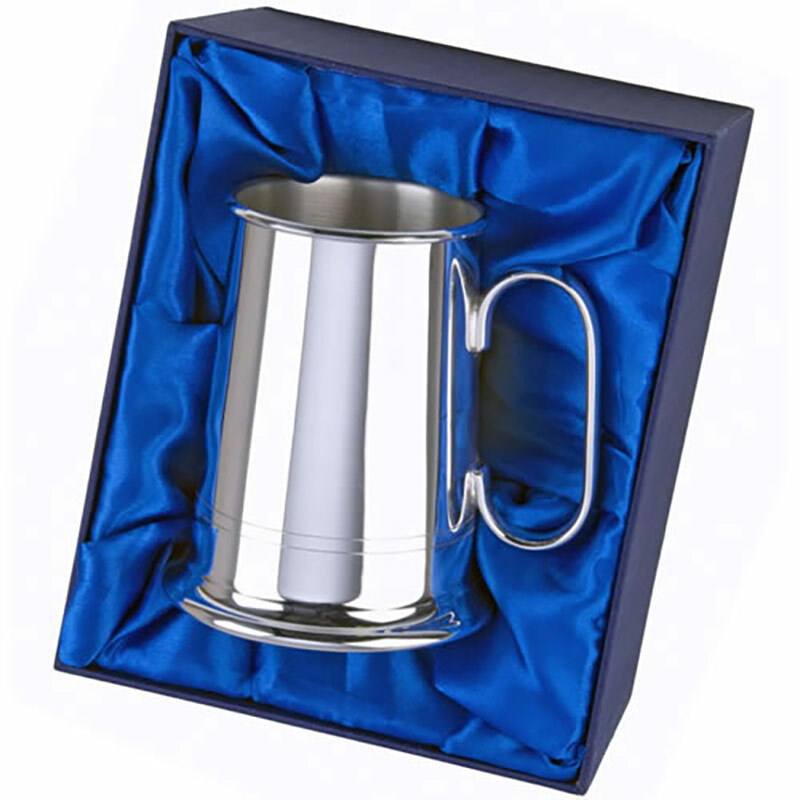 A luxury silver plated tankard featuring traditional two-line decoration and supplied completed with a fully-lined presentation case. These classic silver tankards are handcrafted in England to the highest standards. They have a capacity of 1PT, a highly polished finish, and the body features two line decoration towards the base of the tankard. 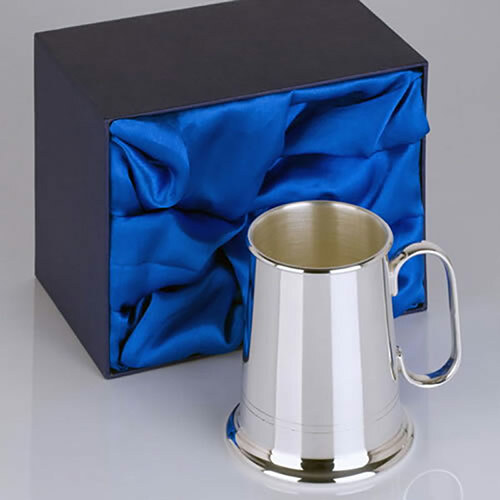 Ideal as corporate gifts, these tankards are supplied with a luxurious presentation box. They are offered with free text and logo engraving along with bulk order discounts (see price matrix, above) and low, fixed price UK delivery regardless of quantity ordered.